On Tuesday, members of the House Republican and Democratic caucuses chose their respective leadership teams for the upcoming 2019-20 Legislative Session. When the House re-convenes in January, the House Republicans will hold a 110-93 majority, which is historic, because this is only the second time since 1924 that the Republicans have maintained the majority in the House for four or more consecutive two-year legislative sessions. House Speaker Mike Turzai (Allegheny), was chosen by the caucus as its Speaker-designee for the coming two-year session. Given the GOP’s solid majority in the House, Turzai is a virtual shoe-in to repeat as Speaker, a position voted on by the entire House during the General Assembly’s swearing-in day, which will be Jan. 1, 2019 this time around. Majority Leader – Bryan Cutler (Lancaster). Rep. Cutler takes over the Majority Leader role because Rep. Dave Reed is leaving for a private sector job. Majority Whip – Kerry Benninghoff (Centre). With Cutler vacating the Whip post, current House GOP Policy Committee Chairman Kerry Benninghoff, R-Centre, was elected to replace him. Majority Policy Chair – Donna Oberlander (Clarion). Current GOP Caucus Secretary, Rep. Donna Oberlander, R-Clarion, was elected by the caucus to replace Benninghoff as Policy Committee Chair – the first woman to hold that position in the House GOP Caucus. Appropriations Majority Chair – Stan Saylor (York). Caucus Administrator – Kurt Masser, (Northumberland). Caucus Secretary – Mike Reese (Westmoreland). Rep. Reese will be replacing Rep. Oberlander as Caucus Secretary. Minority Leader Frank Dermody, D-Allegheny, will continue to lead the caucus during the next legislative session as a result of Tuesday’s leadership election. He ran unopposed. Minority Caucus Whip – Jordan Harris (Philadelphia). Minority Appropriations Chair – Matthew Bradford (Montgomery). 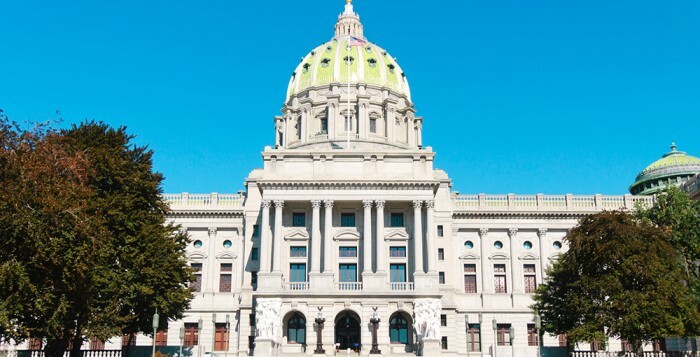 Reps Harris and Bradford succeed two western Democrats – Reps. Mike Hanna, D-Clinton, and Joseph Markosek, D-Allegheny, who are retiring from the House and their whip and appropriations jobs, respectively. Rep. Matt Bradford defeated Rep. Dan Frankel (Allegheny) in a close vote for the appropriations post. At one point before the vote, Bradford and his supporters went to another room to caucus on strategy. Rep. Jordan Harris defeated Rep. Mike Carroll (Luzerne) for the caucus whip post. Minority Caucus Chair – Joanna McClinton (Philadelphia). Rep. McClinton defeated Rep. Robert Freeman (Northampton), and Rep. Robert Matzie (Beaver) for that post. McClinton was elected to the House in 2015. 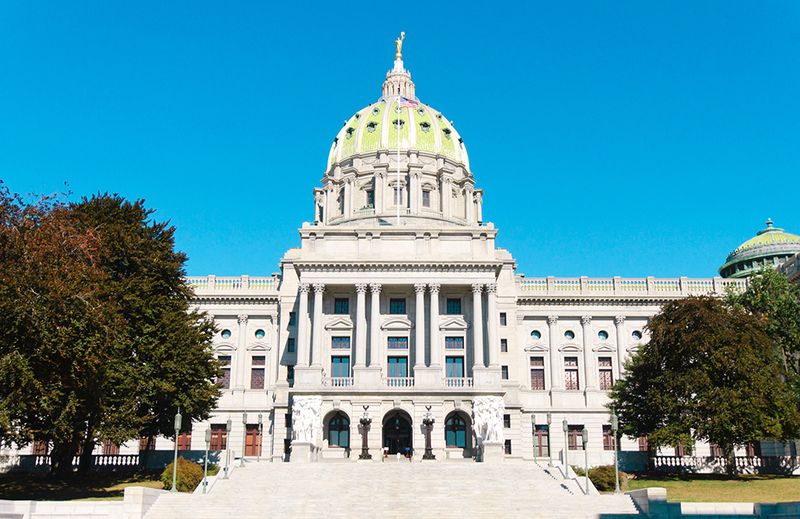 Minority Caucus Administrator – Neal Goodman (Schuylkill). Rep. Goodman turned back a challenge from Rep. Leanne Krueger-Braneky (Delaware), to win another term. Minority Policy Committee Chair – Mike Sturla (Lancaster). Rep. Sturla won re-election for this position without opposition. Minority Caucus Secretary – Rosita Youngblood (Philadelphia). Rep. Youngblood was reelected Minority Caucus Secretary without opposition. Today, the state Senate’s political caucuses will choose their new leadership teams.